The Beach Life slot game has spilled out a massive jackpot. A British player took home a life-changing jackpot worth a whopping $5.75 million. About three years ago, another fortunate gambler scooped a $6.8 million jackpot whilst spinning the reels of the same online slot machine. That’s enough cash to enjoy a lavish beach-themed holiday. Before winning the staggering jackpot, the British player had planned a domestic holiday. However, Hilton now has enough money to visit the world’s best beaches. 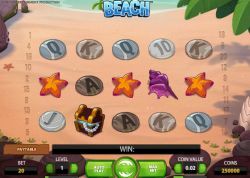 There’s another entertaining online slot game if you are into beaches and gaming. Royal Panda’s Beach video slot features lots of free spins, rewarding wild symbols, plus a x2 multiplier. On top of all that, there’s a cool jackpot packed with 40,000 coins up for grabs.